She names him Squeaker and the two go through a humorous sequence of events: playing, napping, litterbox training (okay, maybe that's not fun!) and all other sorts of shenanigans. But then Squeaker suddenly goes missing. Lucy is heartbroken and looks for him everywhere. Finally, she finds him back with his own family and she makes the tough decision to let him stay where he belongs. 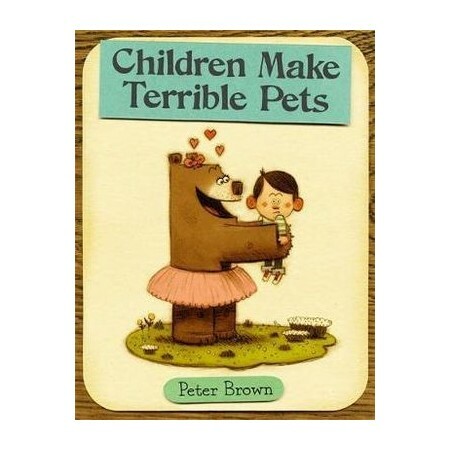 Bestselling author Peter Brown is back with a side-splitting and endlessly adorable story, illustrated in a striking and fun art style. Peter Brown is a graduate of the Art Center College of Design in Pasadena, CA. He grew up in Hopewell, NJ and now lives in Brooklyn, NY, where he's living his dream of drawing, writing, and getting paid to do it.